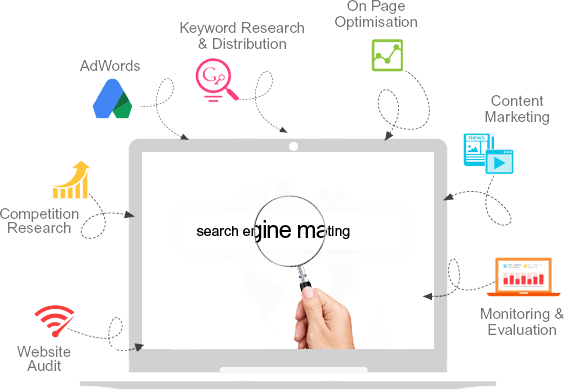 The process of getting your website rank up there on SERPs (also known as Search Engine Result Pages) through paid advertising is known as Search Engine Marketing (SEM). For instance if someone is searching for products or services that you sell, SEM ensures that your website comes on the top of the listing so that more traffic is directed to your website. We have a dedicated team that works with you, understands your business requirements and the products you offer, and then chalks out an SEM strategy that would work for you in the best possible way. We plan the strategies and advertisements in a way so as to get the best ROI for you. Why SEM is a preferred marketing strategy is because you need to pay just for the click on your ad. There is no extra money required to be spent, no unknown moves, and absolutely no concerns about where your money is going. How we do Audience Targeting? How DigitalOye will help you? To Advertise locally or globally. Target your ads to customers in different GEOs, or select the cities in which you wanted to show your ads. Select the region specific to your business. It helps you to get more customers or users to look forward to your brand offerings and will also help to keep customers coming back for more. Help you to drive up your business visibilty at the right time to achieve your milestones or business goals with easy to use process. 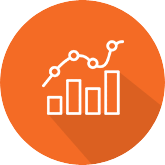 Get the real time reports to measure the ads abd see how they are performing - optimize it to achieve your business goals. They appears right next to the search results when people search on the web for the products and services you offer. You will only be charged if people click on your ads. Create your search ad - Start within a few minutes, write an ad copy and tell people what you offer. Use keywords for better results - Choose the search terms that potential customers might search on the web to find your business. Reach your target audience with the help of display ads on the web and in apps - across devices. Create your ads - You can choose from text or images with the ad album present in your account within a few minutes. Show your ads - Create your campaigns to reach audiences using interests or demographics. Video ads are visible only to the potential users you had targeted, pay only they watch. In other way, your budget will only be spent when adverts are shown to the targeted people and they watch it and are interested in your business. Create your ads - Create a video, set up a YouTube account and upload it. Use Google Ads to start your campaign on YouTube. Your video will appear before or next to related videos or in search results. Show your ads - Choose your audience based on age, gender, location, interests, and more. Control your Budget - Set a daily budget, and use YouTube’s Analytics tool for reports. Universal App Campaigns help you to market your business iOS or Android app to users. Reach users who will love your app and make the most of your budget. Customize your ad - Search for your app to see a custom ad preview of your app on the App Store or Play Store. Customize the text, upload images and videos of your app and start the campaign. Control your Budget - Set a daily budget, decide how much you’re willing to utlize the budget for each app installation (CPI or cost per install). Easy to use management tool - Launch your ad on web, across Google Search, Play, YouTube, Gmail and more. Automatically refines the bid to deliver high-quality installs—all within your target CPI. If you're a merchant, you can use Google Shopping campaigns to promote your online and local inventory, increase traffic flow to your website or store. Get More Traffic: Get higher clickthrough rates (CTR) with Shopping ads compared to text ads shown in the same location for shopping-related searches. Multiple Listing: At a time more than one listing can appear for a potential user search term which is relevant, the product listing shopping ads and a text ad can also appear at the same time. Easy Campaign Management: Shopping ads use the product attributes mentioned in your product listing shopping ads data to make your ads visible on relevant or targeted search terms. Browse your inventory of products in merchant center for Google Product listing ads, and can create a group of products or items you want to bid or spend your budget. What else can DigitalOye help you with? How is your account structured? Are you covering your entire product range using different keywords in various campaigns? What are the keywords in your campaigns? 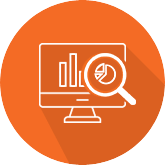 We conduct regular audits of your Adwords accounts and manage them end-to-end. Having a good Adwords account structure helps optimize your overall performance. They ensure keywords do not conflict with each other and cover various levels of search queries. This process involves understanding what consumers are interested in and serving them personalized suggestions time and again to ensure that chances of conversion are more. 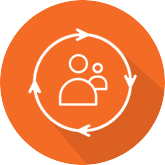 We manage the entire remarketing process right form setting up identifier tags to showing them your relevant ads. Dynamic and targeted remarketing is among the best Performance Marketing techniques that establishes an association with your brand and encourages potential consumers to transact with you. See the performance data of your products at any level of granularity you want in real time. For example you can check how many clicks a particular product got by applying the filters needed. The insights are present their with respective visuals to understand and show them in a user friendly manner. Use bench-marking data to get insights into your competitive landscape. Identify growth opportunities with impression share data and the Bid Simulation ideas.